Apple hasn't given a figure for Apple Watch sales, but it did give a way to figure out a ballpark estimate. On a conference call with analysts, CEO Tim Cook said that if the Apple Watch, along with Beats and AirPods headphones, were a stand-alone business, they would have revenue roughly equal to that of a Fortune 500 company. That means that the business is likely greater than $5 billion, since the No. 500 company on the most recent Fortune 500 list had revenue of $5.1 billion. Cook also noted that Apple Watch sales last quarter were double those of a year earlier. 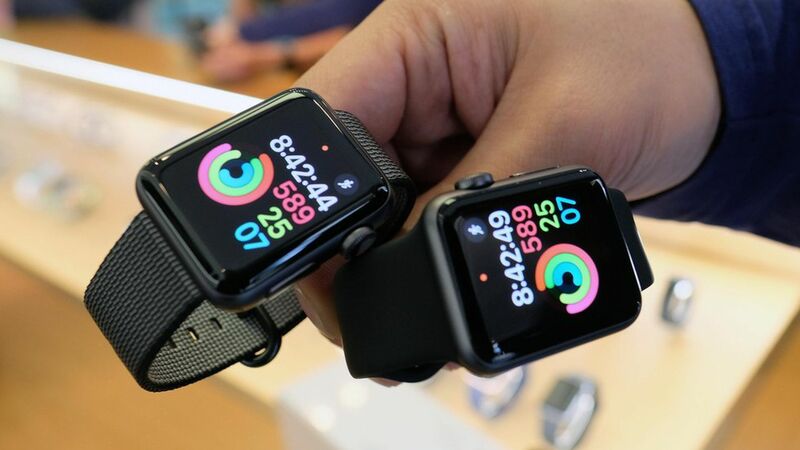 As for how many Apple Watches that amounts to, Creative Strategies analyst Ben Bajarin estimates Apple sold about 3.2 million last quarter. Why it matters: That's the clearest look yet we've had at the size of the Apple Watch business. Update: Later in the call, Cook said that the business would be "well into" the Fortune 500, suggesting the watch and headphone business could be even bigger than $5 billion. Earlier: Apple posted quarterly earnings that topped expectations, but iPhone sales were less than expected.